This ‘cross reality’ event will take place simultaneously in RL and SL in the same location, the ‘Theatrum Anatomicum’ room in the historical Waag building in the city of Amsterdam as well as in the virtual Waag building at Amsterdam Sim in the virtual world Second Life. RL & SL audience will be communicating via live chat. 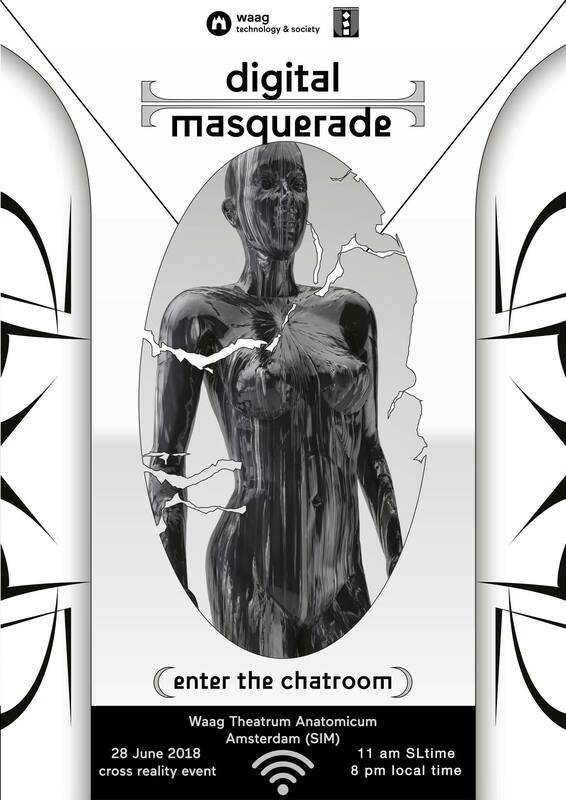 The event will be projected live in and out of RL & SL Waag. 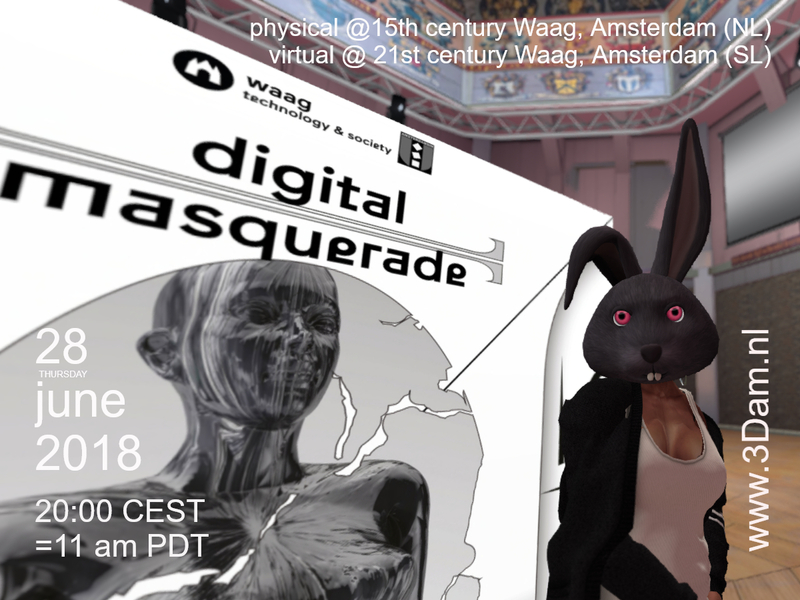 Digital Masquerade is part of the Waag series Manifesting Futures, avant-garde club nights full of critical sounds, art and technology. In each edition we discover in an experimental future scenario of an artist, critical thinker or musicians. #ADE12 Amsterdam Dance Event #VOLTT LIVE @ virtual Paradiso #SL! EK2012 voetbal op ´t virtuele Museumplein in SL! NOW! Ruigoord Hippie Balloon Party 3d Paradiso Amsterdam SL & RL!